Backpackers Pantry Bulk Food Backpacker's Pantry Creme Brulee Single Serving 102641. No blow torch required. 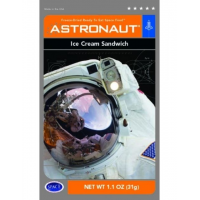 Just add cold water to enjoy Backpacker's Pantry Creme BruleeOne thing that makes this meal so great is the fact the pouch it comes in is your bowl and once you're done with your meal trash recepticle all-in-one. Just add the specified amount boiling water zip lock it closed let it stand for the required amount of time then serve. Once you are done with your meal clean up is easy. No more dishes just zip it shut and you're all set. 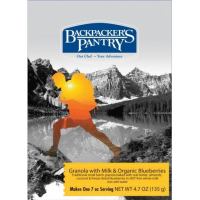 Backpackers Pantry Bulk Food Granola With Milk and Blueberries (1 Serving) 101016. Makes one 7 oz. serving. 16 grams of protein. Just add cold or hot water.